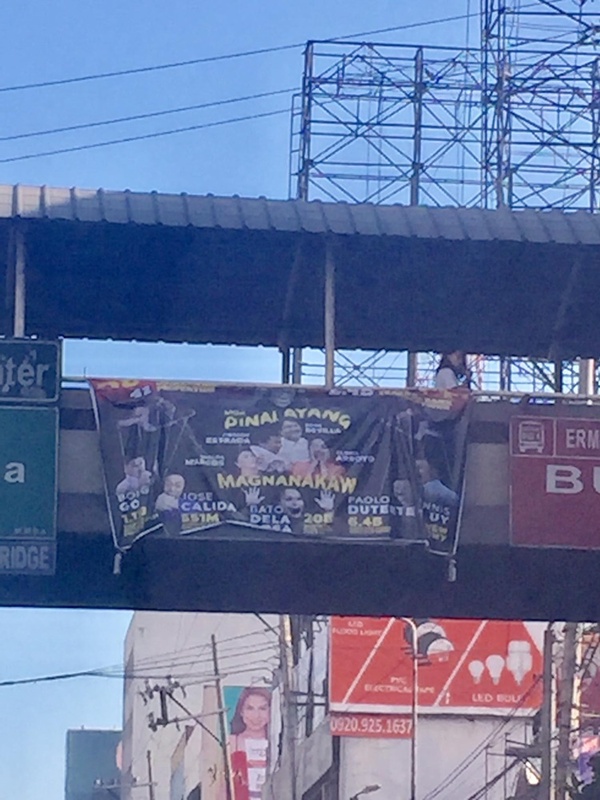 A huge tarpaulin of the so-called “Pinalayang Magnanakaw” has been posted in an overpass along EDSA somewhere in Quezon City area. Politicians are already making efforts before the campaign period to earn the sympathy of the public and gain more voted on May 2019 elections. The Commission on Elections (Comelec) prohibits the candidates to make any move before the campaign. However, some candidates were already making advertisements and giving flyers to gain more voters before the midterm polls. 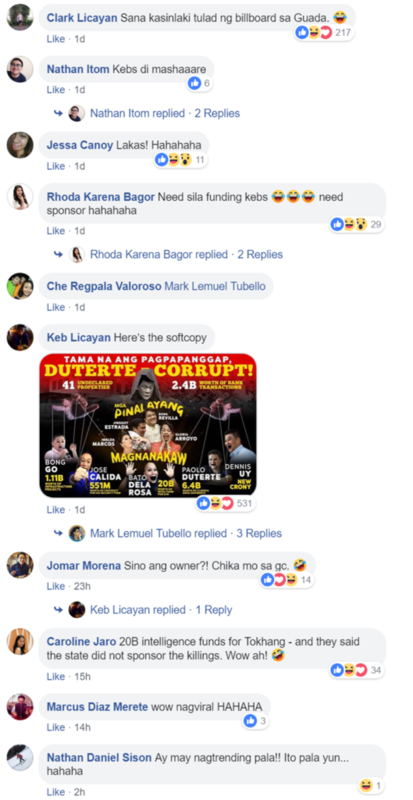 Recently, a Facebook user named Keb Licayan has uploaded the photos of “Pinalayang Magnanakaw” tarpaulin posted along EDSA overpass. 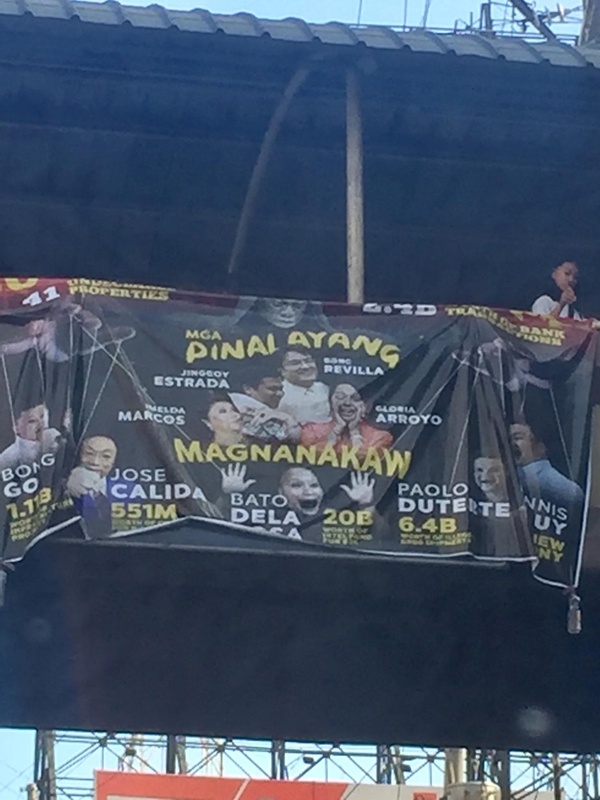 In the photos, it can be seen that the tarpaulin of “Pinalayang Magnanakaw” contains the image of popular politicians. 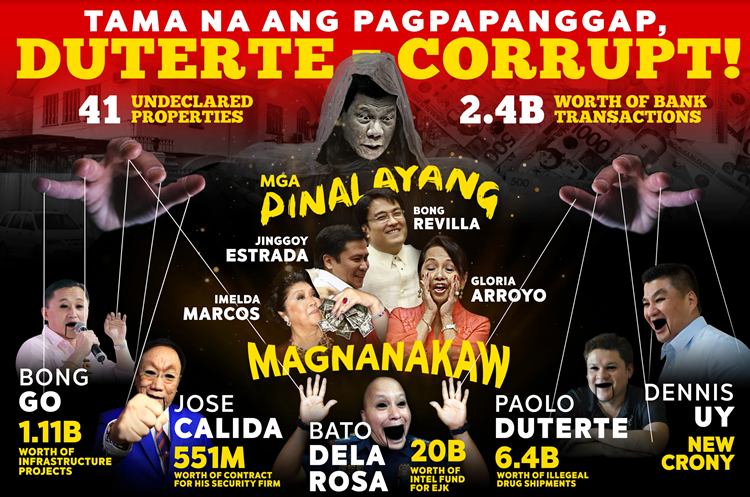 The politicians included in the photo were Bong Revilla, Jinggoy Estrada, Imelda Marcos, Gloria Macapagal Arroyo, Bong Go, Jose Calida, Bato Dela Rosa, Paolo Duterte, and Dennis Uy. “I saw this along EDSA somewhere in QC area. Akala ko pa naman nung una ay election paraphernalia. Dapat nationwide yan ikabit big tarp. Every municipality dapat meron nkkabit from entrance to exit. Para matalo natin tarp ni Bong Go #1Epal.